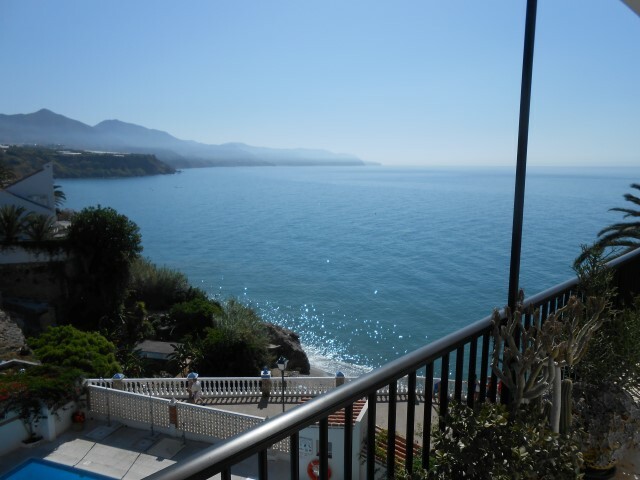 Nerja Holiday Apartment – The View! I’ve completed a website for a customer of mine. It shows the two lovely properties in the holiday town of Nerja (Spain). Check out the site and perhaps treat yourself to that well-deserved holiday! Just thought I’d post up here two or three links to some useful programs that will help keep your PC clear of virus related issues. 2. Make sure your router is properly password protected (see your manufacturers manual for details). The main thing here is to ensure that your routers’ wireless security is on and that the admin password is changed from the default. 4. Avast Free Anti-virus is not too memory hungry or indeed processor hungry. In other words it won’t slow your computer down too much! You can get it here: Avast Free. 5. AVG Free Edition is an old favourite with a lot of people. My personal opinion is that while it still does the job it can be a bit ‘heavier’ (slows the computer down) than other programs such as Avast. You can get AVG Free here. It is my opinion that the paid for versions do not find more viruses than the free version. Both will detect known viruses and deal with them. The paid for version might however include an enhanced firewall to replace Windows firewall. Many anti-virus programs don’t go quite far enough. There are programs out there (called malware) which often aren’t seen as viruses. So you need a program that can scout these out too. Malwarebytes is one such program and it has got me and friends out of trouble quite a few times! Download Malwarebytes here. Any questions on this short post? Try asking me from the contact page. Here is a quick run down of some of the pros and cons of upgrading. It might be good for you and it might not. I have to admit I was a bit miffed at a couple of the ‘upgrades’ but I’m giving it a go anyway. Of course you would expect a slicker interface and some added features and you do. For one, you get integration into Facebook chat so you can chat to your Facebook friends who are signed in on Facebook chat through the Live Messenger chat windows rather than the Facebook chat in the web page. You also get to see your Facebook friends signing in just like any other Messenger contact. I like this but can be confusing at first hehehe. If you are one of those people that sign in in Offline mode so you can just chat to one or two people and not get bombarded by many chats, then you can “Appear online to this person” or “Appear online to everyone” or “Appear offline to everyone”. A good idea I guess although did it need messing with? I don’t remember this option from previous versions. In an IM window of the selected contact you can click on the little arrow next to Video Call and go down to Video Message. This opens up a new window with your webcam visible and a record and stop button. Record your message and click send! I’ve not tested this but I have seen quite a few sites where people are complaining that this feature has been taken away. Why did it get taken away? This was a feature of Live Messenger in previous versions. I know a few people who don’t have webcams but still like to see the other person on cam while not being able to show their own. I don’t like this because like me you may have different names for different groups of people. I use my hotmail email address to send emails that perhaps are more formal or even business related but I use Live Messenger in an informal way. For instance I have many gaming friends who know me as ‘Jabbs’ not as ‘Jonathan Burrows’. As I write, I’ve asked a friend what my name shows as on Live Messenger. She said it was my nickname (Jabbs) rather than my full name. This suggests to me that existing people will see me as the nickname I had before I ‘upgraded’ to Live Messenger 2011. I can only guess what any new contacts will see me as. Probably ‘Jonathan Burrows’. So conversations are now in one window (tabbed windows) by default but you can change this. I’m leaving it set like this to see how it goes. Seems ok so far! As you have seen above, you can connect your Facebook account to Live Messenger 2011. You can also connect many other services such as MySpace; LinkedIn; WordPress; Last.FM; Flickr and many more. no Twitter though! You can now set your Facebook status via the Live Messenger 2011 ‘Share something’ area and also visa versa (if you wish). You can disable this if you like. There are the usual other features such as Shared Activities (games and so on) but that’s all I’m writing about for now. Got a comment? Write back here on the website or on my Facebook Page. To enhance the post I made on how to create all sorts of smileys, emoticons and other symbols using the PC keyboard, I thought I’d do this one as I get a lot of people asking me how to do these things. Using keyboard shortcuts does make life a lot easier and simpler when working on a computer so here they are. I’ve split them into ‘Most used‘ and ‘All‘. The most used ones for everyday users of the PC are probably the following. It’s not a long list as it can take a while to remember what each one does. By the way, where you see the + (plus sign) that simply means you need to press and hold the first button PLUS press and release the second button. For instance you will see in the list CTRL+C. 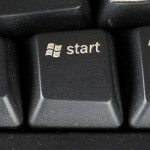 This means press the CTRL button on your keyboard (left of the spacebar), keep it held down while pressing the C button. F1 – help. Will bring up the help system in Windows. You can then type a search to see if you can find the answer you are looking for. F2 – Rename/enter objector cell. Let’s say you have a file selected in your Documents folder, you want to rename it. You could right click the file and choose rename OR you could simply press F2! Hey presto, you are inside the filename where you can type a new name! F3 – find. – Pressing the F3 button (usually top of your keyboard with all the other ‘F’ buttons) will bring up the ‘Find’ window. Type your search and away you go! ALT + TAB. – I used this so much! It’s a quick and easy way of flicking through your open programs. Basically keep the left ALT key down while pressing the TAB key repeatedly until you find the open program you want to go to. When you do, just release the ALT key and there you go, you have flicked to the other program! CTRL + C. This copies the selected text or file to something called the Windows clipboard. You can’t see the clipboard but your copied item sits in there until you put something else in the clipboard. To get your copied item or text out of the clipboard, you use ‘Paste‘ (see next item). CTRL + V. Copies the text or item in your clipboard (see above) to where ever your mouse is selected (i.e. inside a word document). If you are copying and pasting a file, then you will most likely be in a folder on your computer to paste the file. CTRL + X. This ‘Cuts‘ the selected text or file to the Windows clipboard. In other words it removes from the original location and when you ‘Paste’ (CTRL + V) it to the new location. CTRL + Z. Probably the best shortcut ever! If you made a mistake you can ‘Undo‘ your last or indeed any number of previous actions. (Depends on the program you are using at the time). CTRL + A. This selects all text or all files in a window prior to a further action such as DELETE or copying etc. CTRL + P. Opens the Print window. Holding the CTRL key down while you select other files. If you hold the CTRL key down while you click on other files in a folder, you will notice that those other files become selected also. Useful if you want to copy, move or perhaps delete a selection of files all at the same time. Holding the SHIFT key down to select all files in between the originally selected file and the last file you ‘Click‘. This selects every file in between your first selected file and the last one you ‘SHIFT + Click’. Useful for selecting a lot of files in a folder. WINDOWS KEY + M. Minimises all windows to show the Desktop. WINDOWS KEY + E. Opens Windows Explorer so you can view files on your PC. 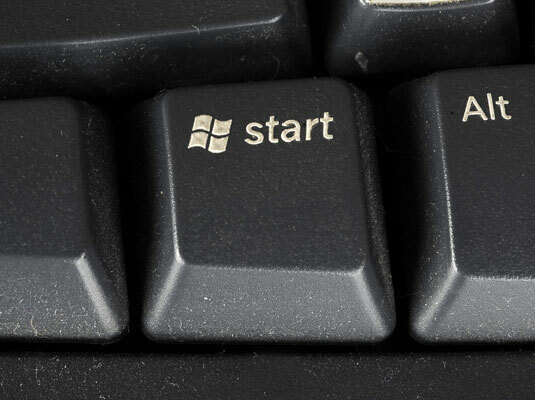 WINDOWS KEY (on its own). Opens the Start Menu. WINDOWS + R. Opens the Run box. F5. Refreshes the web page you are currently viewing. CTRL + TAB. Moves between tabs in Internet Explorer, Firefox, Chrome etc (Saves you clicking between them all if you have many open). You can also use the following if you know which tab you need. CTRL + (a number). For instance CTRL + 1 on your keyboard will take you to the first tab. CTRL + 4 will take you to the fourth tab (if there is one). CTRL + D – opens the ‘Add to favourites (favorites in the US)‘ box. SPACEBAR. Will move down the webpage one page height. As well as using the above shortcuts like CTRL + C, you can use the following to quickly format text or move your way around text. CTRL + B. Makes the selected text BOLD. CTRL + I. Makes the selected text Italic. CTRL + U. Makes the selected text Underlined. CTRL + Right or Left Arrow. Moves you left or right in your block of text one word at a time. Much quicker than simply using the arrow keys alone. Hint: You can hold the SHIFT key as well as the CTRL key to SELECT one word a time while moving left or right. I’ll list my own here later, but for now you could click on the links below for more information. I love this! Windows 7 (Ultimate or Enterprise) has a feature called Federated Search (wikipedia link). It’s awesome, read on for more! You know the Windows 7 search tool within a Windows explorer window? (see screenshot below). Well, Federated Search allows you to search for pretty much anything, anywhere (on the Internet that is). So, that simple search box which you may have used to search for files on your computer can now be used to find Youtube videos, Microsoft Technet articles, Torrent files and much much more. The results are displayed in the window just like any other search result on your computer. You can double click them to open, copy and save any of the results (actually shortcuts to the original location) to locations on your computer for later use and so on! (How about saving them to your Dropbox folder so they are there when you get to one of your other PC’s? Notice on the left I have a few extra folders on the left? Youtube and Microsoft TechNet for instance? 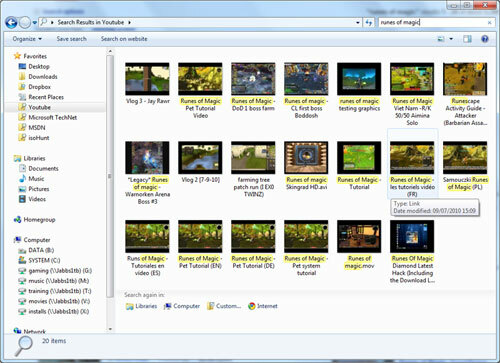 Top right shows I have search for the word ‘runes of magic’ (it’s game ok?) and the results from the Youtube site are displayed below all from my Windows desktop! If you’d like to know how it works – message me!